As SiriusXM Speedway first reported yesterday, Stewart-Haas Racing has entered into a collaborative partnership with Tommy Baldwin Racing that will see TBR field the No. 10 GoDaddy.com Chevrolet Impala for all 10 of Danica Patrick’s NASCAR Sprint Cup Series races in 2012. The alliance guarantees a starting spot for Patrick in her Sprint Cup debut – the 54th annual Daytona 500 on Feb. 26 at Daytona (Fla.) International Speedway. TBR’s No. 36 car, which finished the 2011 season 33rd in points, becomes the No. 10 for 2012. For the 26 races where Patrick is not scheduled to drive, David Reutimann will pilot the No. 10 car. TBR has sponsorship inventory available for these 26 races. TBR was formed in 2009 and has matured from a single-car team to one that in 2012 will field two Sprint Cup entries and a NASCAR Nationwide Series entry. 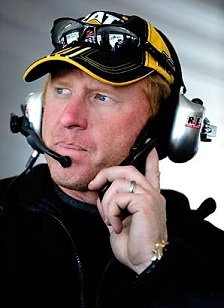 TBR is owned by Tommy Baldwin, who as a crew chief secured five victories, including the 2002 Daytona 500 with driver Ward Burton. Baldwin will maintain a hands-on presence with the No. 10 car and will work closely with Greg Zipadelli, who serves as SHR’s director of competition. Baldwin and Zipadelli have similar backgrounds, as both grew up in the Northeast – Baldwin in Bellport, N.Y., and Zipadelli in Berlin, Conn. – and made a name for themselves as successful crew chiefs within the NASCAR Whelen Modified Tour before rising up the ranks as crew chiefs in the elite Sprint Cup Series. “Working with Tommy will be like old times,” Zipadelli said. “We both grew up together and competed against each other in Modifieds and we did the same thing when we got to Sprint Cup. To finally be able to work with each other and help Danica Patrick make a successful transition from Indy cars to stock cars is a challenge we’re both looking forward to. Sept. 16: Chicagoland Speedway in Joliet, Ill.
One more race is still to be determined, with the plan being to assess Patrick’s development as the season progresses and then choose the remaining venue based on need and competitive reasoning. Ten employees of Joe Gibbs Racing were treated for smoke inhalation this afternoon after a fire at the team’s race shop in Huntersville, NC. Officials say a piece of machinery at the shop caught fire at around 3 pm ET; the second fire at the complex in the last 11 months. A blaze in February of 2011 caused major damage to the team’s engine shop, though no injuries were reported. Bodine: "We Have A Deal For Daytona." 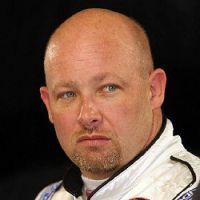 Former NASCAR Camping World Truck Series champion Todd Bodine has a sponsor for the season-opening event at Daytona International Speedway, and said he is optimistic about finding additional funding for the full, 2012 campaign. Bodine declined to name his Daytona sponsor, but an official announcement is expected from the team later this week. He said Red Horse continues to talk to potential sponsors about the bulk of the season, as well. “We’ve got some other things happening, and a lot of interest,” said the 2006 and 2010 Truck Series champion. “The people who say sponsorships are few and far between and it’s tough to get people interested don’t know what they’re talking about. There are a lot of companies interested, but you have to be realistic about the number you shoot these people. Bodine finished sixth in championship points last season with Germain Racing, but was held winless for the first time since 1999. It’s increasingly difficult to find anyone who enjoys NASCAR’s Sprint Cup Series qualifying system. NASCAR’s current, owner points-based system was designed to ensure that no big-name driver is left on the sidelines when the green flag flies on Sunday afternoon. Many fans pinch pennies for months to afford their annual Sprint Cup outing, and the last thing they want when arriving at the track is to discover that their favorite driver failed to qualify and will not be competing this week. STEP ONE: Abolish the Top-35. Without it, every team arrives at the race track in survival mode, tasked with laying down a fast qualifying lap to ensure their participation in Sunday’s main event. No more 35-man lock-in, no more Past Champion’s Provisionals for drivers a decade or more past their prime. Go fast, or go home. STEP TWO: Real, meaningful time trials. Every driver gets his traditional two laps on the clock. When time-trials are complete, the fastest 35 drivers are in the race; regardless of who they are, who they drive for, or where they finished in points last season. If unheralded newcomer Ed Shlabotnik builds a scorching fast race car in his two-bay garage – and it passes NASCAR’s pre-qualifying inspection – he’s allowed to out-qualify Smoke, Jimmie and the boys and start on the pole for Sunday’s race. Qualifying for a race on speed is admittedly a radical concept these days, but the idea would infuse a much-needed element of unpredictability to the process and help repopulate NASCAR’s increasingly empty grandstands on qualifying day. STEP THREE: Add the top-point drivers. After the first 35 positions have been set via time trials, NASCAR fills the next seven spots based on current championship driver points. Simply put, the top seven drivers in points who failed to make the field on speed are added to the lineup, in order of standing. This virtually guarantees that no big-name driver is left at the altar. STEP FOUR: Add last week’s winner. If he fails to qualify by all other means, last week’s race-winning driver is added to the field as the 43rd and final starter. If last week’s winner has already made the field, an eighth driver is added to the field according to driver championship points. It’s simple, it’s exciting and it’s fair. NASCAR, your thoughts? With less than a month remaining before the NASCAR Sprint Cup Series invades Daytona International Speedway for SpeedWeeks 2012, it was only a matter of time until some enterprising team devised a scheme to fold, spindle and manipulate NASCAR’s bewildering Top-35 owner points system to its own advantage. This year’s winner? Stewart Haas Racing. SiriusXM Speedway revealed yesterday that SHR has completed a deal to make Danica Patrick a guaranteed starter in next month’s Daytona 500, using owner points obtained from Tommy Baldwin Racing. A year ago, TBR’s #36 Chevrolet finished 33rd in Sprint Cup Series owner points, earning a coveted, guaranteed berth in the first five races of the 2012 season. Driver Dave Blaney will not be allowed enjoy the fruits of that labor, however. He will be required to race his way into the “Great American Race” and the four events that follow, while Patrick -- who did not attempt to qualify for a single Sprint Cup race last season -- rolls into Daytona Beach already penciled into the starting grid. Patrick will run 10 Sprint Cup races this season in cars fielded by SHR, with David Reutimann filling the seat in a #10 Chevrolet out of the TBR shops in the remaining 26 events. That's not the way it’s supposed to work. NASCAR's Top-35 system was designed to ensure that team owners retain something of value when drivers depart during the offseason, with sponsor in hand. Unfortunately, what once served as a reward for fulltime Sprint Cup supporters has once again been manipulated to benefit a team without even a single lap in NASCAR's senior series. Sadly, it is nothing new. A year ago, Rusty Wallace, Inc., used a similar to ploy to obtain owner points from Penske Racing, guaranteeing Steven Wallace a Daytona starting spot, despite the fact that he had never competed in a NASCAR Sprint Cup Series event. In 2010, Front Row Motorsports used owner points acquired from Yates Racing to lock its #37 Ford and driver Travis Kvapil into the Daytona 500. Latitude 43 Motorsports -- a new team with no prior history in any NASCAR series -- purchased assets and owner points from Roush Fenway Racing to ensure itself a spot in the 2010 season opener as well, setting up a guaranteed payday of at least $250,000 for a last-place finish. Richard Petty, Michael Waltrip, Richard Childress and a number of other prominent Sprint Cup owners have taken advantage of the same rule in previous seasons, with similarly distasteful results. For the record, none of the aforementioned teams has done anything wrong. Tony Stewart and Tommy Baldwin are shrewd, astute businessmen, and they know a “win-win” deal when they see one. Merging their efforts under the SHR banner should allow Patrick and Reutimann to remain in the Top-35 and on the “guaranteed starters” list all season long; something neither driver could have accomplished on their own. Baldwin and Stewart are guilty of nothing other than exploiting a loophole in NASCAR’s procedural manual big enough to float the Costa Concordia. A loophole that will allow TBR to race 26 times this season under the Stewart Haas Racing banner, despite the fact that SHR will contribute nothing to the effort other than token technical support and an over-the-wall pit crew on race day. In “real-world” terms, SHR’s #10 will be two different teams, fielding two different cars under the same number. NASCAR’s Top-30 owner points program continues to be a solution in search of a problem, and serves only to confuse fans, who rightly ask, "How did he – or in this case, she -- qualify for the Daytona 500?" The now-annual owner-point fiasco will receive more attention this season than it has in the past, simply because Patrick is involved. Through no real fault of her own, the former IndyCar star attracts more than her share of both media attention and controversy. Hopefully, attaching Danica’s name to this whole, dyspeptic mess will prompt the sanctioning body to do what it should have done years ago; decreeing that beginning in 2013, guaranteed starting spots may only be used by the team that earned them in the prior campaign. Use them or lose them, it should be no more complicated than that. 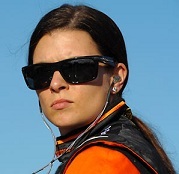 Danica Patrick will be a guaranteed starter in the 2012 Daytona 500, using owner points from Tommy Baldwin Racing. Multiple sources say a deal is nearly complete to make Patrick a guaranteed starter in Stewart Haas Racing’s #10 Chevrolet in the 2012 NASCAR Sprint Cup season opener, using owner points accrued last season by driver Dave Blaney in TBR’s #36 Chevrolet. Blaney will now be forced to qualify for the “Great American Race” on time. Patrick is scheduled to run approximately 10 Sprint Cup races this season, and TBR driver David Reutimann will run many of the events Patrick does not; also in the #10 machine. While Patrick will drive Stewart Haas cars purchased from Hendrick Motorsports in her 10 races, Reutimann will steer Baldwin’s cars in his outings. TBR will reportedly receive technical and pit crew support from SHR as part of the deal. NASCAR announced today that it will retake significant control of its online and digital platforms in 2013, opening the door for a myriad of new online options for fans. NASCAR and Turner Sports announced what they called “a restructuring and extension of their long-standing digital partnership.” The new agreement continues their alliance through 2016, with NASCAR assuming business, editorial and operational control of its various digital platforms beginning in 2013, including online, digital and social media. Turner Sports will continue to oversee advertising sales and sponsorships across all NASCAR-branded digital platforms. In recent years, the agreement between NASCAR and Turner has come under fire, with critics accusing Turner of stifling opportunities for NASCAR to make the sport more accessible to fans. NASCAR.COM, the official online destination of NASCAR, has provided statistics, results and other in-depth editorial content, as well as fantasy gaming opportunities, video highlights and social media elements under Turner Sports’ oversight since 2001. 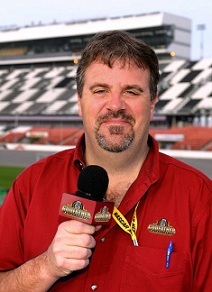 However, the current contract has also prohibited a number of other, potentially fan-friendly opportunities, including live video streaming of NASCAR race broadcasts from broadcast partners other than the Turner-owned TNT network, live streaming radio broadcasts from Motor Racing Network (MRN) and Performance Racing Network (PRN), as well as SiriusXM Satellite Radio’s 24/7 slate of NASCAR-themed programming. While no specifics have been announced, experts say NASCAR’s new contract is likely to allow fans to obtain live video of NASCAR race events on their mobile phones and home computers, online streaming of SiriusXM content, plus a number of other new applications and services. Less than 30 days remain until NASCAR kicks off its 2012 NASCAR Sprint Cup Series season at Daytona International Speedway, and despite a long offseason of speculation and debate, a number of questions remain that could dramatically impact the 2012 campaign. Will Dale Junior Win In 2011? Rick Hendrick’s decision to team Dale Earnhardt, Jr., with crew chief Steve Letarte paid dividends last season. Bolstered by Letarte’s hands-on approach and constant encouragement, NASCAR’s perennial Most Popular Driver surged from 21st in the 2010 championship standings to seventh, and was in contention for a number of wins. Unfortunately for Earnhardt’s army of fans, “in contention” just doesn’t cut it. It’s been 110 races – more than three and a half years -- since Junior went to Victory Lane; and the natives long ago began to get restless. They’d love to see Earnhardt and Letarte return to the Chase for a second consecutive season. They’d love for Earnhardt to author a legitimate Sprint Cup championship bid for the first time in his career. First things first, though. 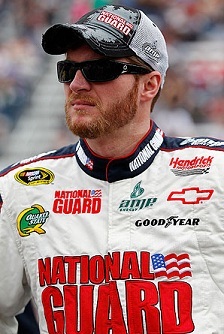 Earnhardt needs to win a race, as soon as possible. Is a Daytona 500 victory too much to ask? Will Tony Stewart Regret His Team’s Off Season Moves? Nobody fires their crew chief in the aftermath of a championship-winning season. Nobody, that is, but Tony Stewart. 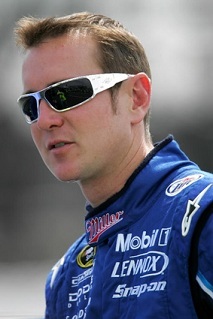 After a lackluster regular season devoid of wins, Stewart decided to terminate crew chief Darian Grubb at season’s end. He then embarked on a torrid Chase that included five wins in 10 starts and an improbable series championship. Grubb smiled for the cameras, posed with the Sprint Cup trophy, then packed his bags for a new job with Joe Gibbs Racing and driver Denny Hamlin. Veteran Steve Addington will take his place atop Stewart’s pit box, and if things don’t work out, Smoke will have 10 long months to second-guess himself. Can Jimmie Johnson Regain His Championship Form? The 2011 season was the worst of Jimmie Johnson’s NASCAR Sprint Cup Series career. Despite two wins and a best-in-the-sport 21 Top-10 finishes, Johnson faltered badly in the Chase, fading to sixth in the final rundown with a late-season string of DNFs and disappointing finishes. 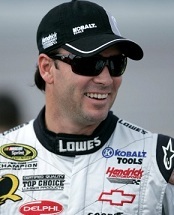 That failure will motivate Johnson and his future Hall Of Fame crew chief, Chad Knaus, pushing them to greater heights and returning their Lowe’s Chevrolet team to title contention again in 2012. Expect Johnson to reclaim his place in the spotlight this season with a solid run toward a sixth Sprint Cup Series title. Can Denny Hamlin Rebound? After taking his 2011 championship bid all the way to Homestead Miami Speedway, Hamlin fell off the competitive radar last season. He visited Victory Lane only once – at Michigan in June – and managed just five Top-5 finishes all season. Handcuffed by the memory of its 2011 failure, his Fed-Ex Toyota team seemed incapable of making a fresh start. By midseason, it was clear that something was amiss. By season’s end, the team had deteriorated into petty bickering and finger pointing. Darian Grubb must change all that. Hot off a championship season with Stewart, Grubb must rally the troops at Joe Gibbs Racing, take the focus off the long-gone 2011 season and get everyone pulling in the same direction once again. A fast start could make Hamlin a title contender once again, while a continuation of last year’s struggles could doom the team to another season of frustration. Can Carl Edwards Overcome His 2011 Disappointment? Losing a championship can lead to the loss of another, as Hamlin will attest. After tying for the title a year ago and losing the championship to Stewart via tiebreaker, Edwards has a lot of forgetting to do. Job One is for Edwards, crew chief Bob Osborne and the No. 99 team to put the spilled milk of 2011 behind them. That could be more difficult than it sounds. Does Less Equal More For Kevin Harvick? Kevin Harvick’s competitive plate will be much cleaner in 2012. He and wife DeLana divested themselves of their Kevin Harvick, Inc. Nationwide and Camping World Truck Series teams last season, casting off the financial headaches and time constraints associated with running that operation. They started a family in the off season and will welcome their first child in late July. 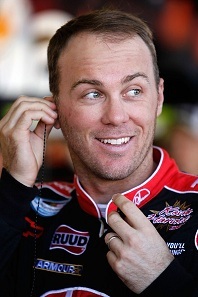 Those changes will almost certainly make “Happy Harvick” happier – and less stressed -- than he was a year ago. Happier drivers are almost always better drivers, and after finishing a strong third in championship points a year ago, Harvick will be even tougher to beat in 2012. Can A.J. Allmendinger Fulfill His Potential? The former Champ Car World Series star is off to a flying start in 2012, signing to replace Kurt Busch in Roger Penske’s #22 Shell-Pennzoil Dodge, then leading underdog Michael Shank Racing to victory in the 50th Anniversary Rolex 24 at Daytona. His Rolex 24 performance proved what longtime fans have known for more than a decade; with proper equipment and support, “The Dinger” will win races. Allmendinger never had a chance to succeed at Red Bull Racing, where he was given just 18 months to win with a new team, a new manufacturer and no experience in full-fendered race cars. At Richard Petty Motorsports, he suffered through a 2010 campaign filled with doubt about whether the team would remain viable from week to week. Last year, he finished the 26-race regular season 13th in the championship standings, just a handful of points – or one win – away from a berth in the Chase. This year, with better equipment, top-notch personnel and a teammate who enjoyed a career season of his own in 2011, there is nothing to keep Allmendinger from become NASCAR’s newest first-time Sprint Cup Series winner. Kurt knows what is at stake. Can Kurt Busch Resurrect His Career? After a tumultuous 2011 campaign punctuated by verbal outbursts and a “mutual agreement” postseason departure from Penske Racing, Busch knows what is at stake. His new team, Phoenix Racing, will make him a contender at Daytona and Talladega, while running 10th to 20th in the remaining 32 races. How Busch handles the trials and tribulations of being a mid-pack racer for the first time in his career will go a long way toward determining his future in the sport. Can Busch change his ways while maintaining the on-track fire that helped make him a Sprint Cup champion? Quite honestly, the jury is still out. Can Kyle Busch Get Along? Many of the questions surrounding Kurt Busch apply to baby brother Kyle, as well. 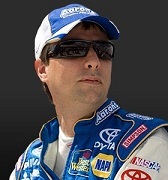 There is no doubt that the younger Busch is one of the most talented wheelmen in the history of NASCAR. Unfortunately, he has yet to display the mental toughness and psychological strength necessary to contend for a Sprint Cup championship. If Kyle can learn to harness his temper and deal more effectively with disappointment, he’ll be a title contender in 2012. If not, he’ll win plenty of races, and little else. Is MWR Ready To Step Up? Michael Waltrip Racing added a pair of proven winners to its lineup for 2012, inking Clint Bowyer to a full-time Sprint Cup Series schedule and adding veteran Mark Martin for a part-time slate. Both have been Chase contenders in the past, and have their sights set firmly on a return. Veteran driver Martin Truex, Jr., ended last season on a high note, longtime financial partner Rob Kaufman gives the team all the financing, material and personnel it needs to succeed, and Toyota provides the factory support. Entering its sixth season of Sprint Cup competition, MWR now has everything it needs to succeed. France: NASCAR "In A Very Good Place." NASCAR Acceleration Weekend Kicks Off Tonight!